The Gerberian Shepsky is a German Shepherd and Siberian Husky mix. Although they are less prone to hereditary diseases experienced by purebred dogs, they may experience conditions that impact either parent breed on occasion. Joint conditions like elbow and hip dysplasia affect some Gerberian Shepsky Dogs. Both conditions are degenerative and involve malformed joints that lead to discomfort, pain, limping, and, in severe cases, arthritis or even lameness. Surgery may be required to correct particularly serious cases. Although both conditions are hereditary, hip dysplasia can be triggered by rapid weight gain or injury. Dogs with hip dysplasia should not be bred, so ensure your puppy’s parents have no history of the condition. Gerberian Shepsky Dogs may also experience digestive issues and Gastric torsion (bloat). Bloat occurs when the stomach becomes overly full of gas, fluid, or food, resulting in a dangerous expansion that puts pressure on other organs. In some cases, the stomach may twist, trapping blood in the stomach and preventing it from flowing to the heart and other essential areas. Bloat may be deadly, so be aware of symptoms like pale gums, changes in appetite, failed attempts to vomit, shortness of breath, and a swollen stomach. Get your dog to the veterinarian immediately if you notice these symptoms. Von Willebrand’s disease, a blood clotting disease, has been recorded in a small number of Gerberian Shepsky Dogs. This condition can result in uncontrollable, excessive bleeding from even a small cut or scrape. 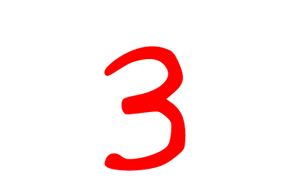 In severe episodes, a transfusion will be needed to make up for lost blood. This breed may experience eye issues like cataracts, corneal dystrophy, corneal opacities, and Progressive Retinal Atrophy (PRA). PRA is when the retina degenerates, ultimately resulting in failed daytime vision. This loss of vision occurs gradually, and affected dogs are typically able to adjust and continue living happy lives. Exocrine Pancreatic Insufficiency (EPI) has also been reported in small numbers of Gerberian Shepsky Dogs. EPI occurs when the pancreas does not produce sufficient amounts of digestive enzymes, resulting in issues with poor nutrition, weight loss, and chronic diarrhea. In very rare cases, a dog affected by EPI may eat his own feces. EPI can be treated with enzyme supplements that can be mixed with your dog’s food. These supplements can be expensive and will likely be required for the duration of the dog’s life. In rare cases, the Gerberian Shepsky may be prone to seizures resulting from epilepsy. On average, the Gerberian Shepsky has a lifespan of 10-13 years. 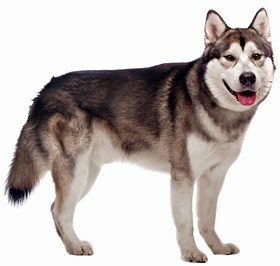 The Gerberian Shepsky, a German Shepherd and Siberian Husky mix, may possess any combination of characteristics exhibited by his parent breeds. However, the average Gerberian Shepsky is alert, intelligent, and playful. He is extremely loyal, loving, and affectionate. Like both parent breeds, he is likely to be strong, reliable, and hardworking. This breed is not recommended for a family with an apartment. 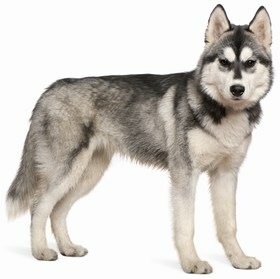 The Gerberian Shepsky is highly active and needs plenty of opportunities to run, walk, or stretch his legs. He makes a great companion for long walks and jogs, and he does best with a large yard in which he can move around freely. Ensure that your yard is securely fenced, as Gerberian Shepsky dogs tend to wander. Also keep in mind that the Gerberian Shepsky does tend to howl or “talk” a lot. He can be trained to control this behavior. The Gerberian Shepsky loves children, and he can get along well with both humans and animals if he is properly socialized. However, some members of this breed may not coexist well with cats. The protective Gerberian Shepsky has a pack mentality, and he will see it as his duty to protect his “pack” (family), making him an excellent guard dog. In fact, many Gerberian Shepsky Dogs are used as police dogs. He does need early socialization to ensure that he does not become overly protective of his family, potentially resulting in unnecessary aggression. For the most part, training a Gerberian Shepsky should come fairly easily. He is highly intelligent, eager to learn, and obedient. He can have a bit of an independent streak, so be sure you assert yourself as the dominant leader of the pack. 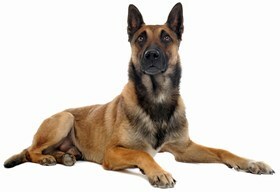 Demonstrate firm, calm, and consistent leadership, and training this breed should be enjoyable. The Gerberian Shepsky will shed moderately to heavily, and he will need to be brushed bi-weekly because his fur will become easily matted or rough. In the summer, he will shed his entire undercoat. Be prepared for frequent vacuuming and lint rolling. Bathe only as needed, as both parent breeds tend to develop dry skin. Trim his nails as needed; do not allow them to touch the floor. Check his ears regularly for signs of infection like redness, tenderness, and odor. Ensure that there is not an excessive buildup of wax, dirt, or debris. Brush his teeth 2-3 times weekly to prevent bad breath and maintain healthy gums. 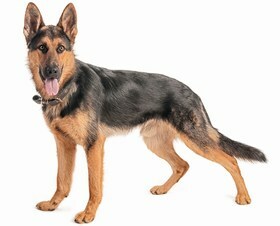 The average Gerberian Shepsky should eat 3-4 cups of high-quality dry dog food on a daily basis. They are slightly picky eaters, and some can develop digestive problems. Finding the right food for your Gerberian Shepsky may require some trial and error. Monitor your dog’s weight and take preventative measures against bloat. Ensure that he does not eat too quickly, do not allow him to drink a lot of water right before or right after eating, and require at least a one-hour waiting period between eating and exercising. Looking for a Gerberian Shepsky? The average cost of a Gerberian Shepsky puppy is $350-$850, although pricing may vary according to breeder location, gender, and pedigree. Adoption fees may cost up to $175. Ranking takes into account a few basic factors including cost, skill level needed, high vs low maintenance and how critical regular training is to success. The Gerberian Shepsky ranks a 3. He gets along well with most people and pets, and he is fairly easy to train. However, he requires extensive exercise, needs to be properly socialized to prevent overprotectiveness, and sheds a great deal. He can also be a picky eater who may experience digestive issues and/or bloat.